The second album from Manchester's Air Cav is a joy from start to finish. The band seem to keep a low profile but Procession should propel them to the big time. A truly beautiful record that will be at the top end of Stuart Ralston's end of year poll. The instrumental Blazing Like A Sun opens the LP and it is like a majestic prelude, setting the scene for what follows. It takes its cue from Playing With Fire era Spacemen 3 - the era when they were at the height of their creativity. Naked Flame is the first song on the album and sees Air Cav in classic garage rock mode - a simple tune with repetitive, addictive bass and guitar lines. The Grinder sees yet another change in style. This time, sounding as though they are letting the listener witness how they jam in the studio. At only a minute long, the instrumental is like a kernel for a future epic. Kill Your Darlings starts off as a great pop single before an explosion of sounds sets in. And then it just keeps building into an anthem. Air Cav have managed to cram a lot into this one piece and if was to persuade anyone to check them out, I'd use this to showcase their undoubted talent. Serpentine has its roots in Laser Guided Melodies, the classic Spiritualized debut and Sophie Parkes on violin really dominates on this track. Her work throughout Procession separates Air Cav from so many other bands. Delayed Bass is another of those short instrumental samplers which could easily be turned into epics. Evenstar probably started life like Delayed Bass but it has been given the full blown treatment. It builds slowly and almost has a touch of New Order about it. No Corner To Cower is another big anthemic tune. Air Cav however have the power to reel it in when they have. Nothing on Procession is over the top and closer Crystalline is testament to that. 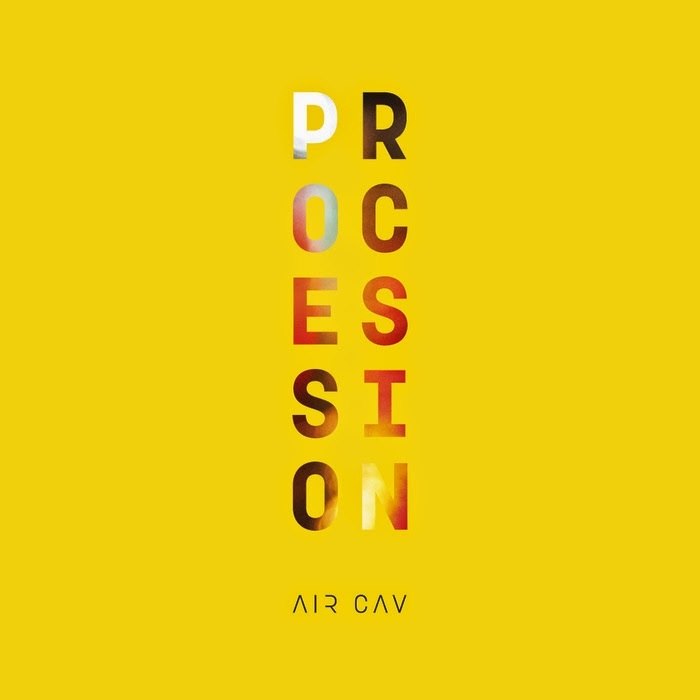 From listening to Procession, it is clear that Air Cav are a fine bunch of musicians. Their production values and songwriting are second to none and they deserve much praise for this truly beautiful LP. 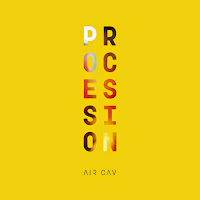 Procession is out today on vinyl and download and is available from Air Cav's bandcamp page. They are on Facebook and Twitter.